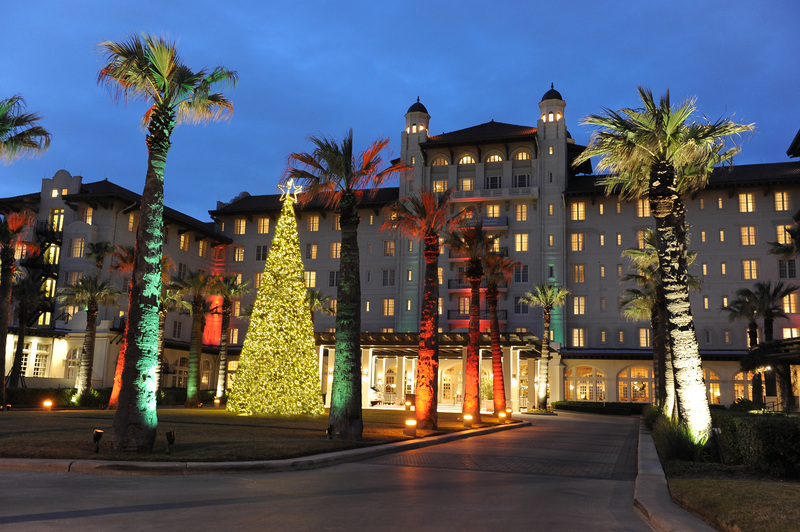 Performances from The Nutcracker, a hand bell choir, and Old-Fashioned Christmas Carolers will dazzle guests at this year’s Galveston Holiday Lighting Celebration at Hotel Galvez & Spa®, A Wyndham Grand® Hotel, on Friday, Nov. 29. This annual free family event begins at 6 p.m. and marks the start of the official holiday season in Galveston. The Holiday Lighting Celebration kicks off with the arrival of Santa Claus by horse-drawn carriage, followed by the lighting of the hotel’s iconic 35-foot Christmas tree on the front lawn. Galveston Ballet, Moody Festival Ringers, Fanfare Lutheran Music Academy Chorus, Galveston Heritage Choral and Trinity School Choir are among the local talent setting the spirit for this holiday season. Children are invited to have photos taken with Santa and will receive a small gift. Photos will be available for purchase from KC Photo Productions during the festivities. In addition, Dickens on The Strand’s Queen Victoria and the Nesquik Bunny from Nestle Toll House Café will also make special appearances delighting audiences of all ages. To truly honor the meaning behind the evening, Hotel Galvez will be collecting monetary donations for the Salvation Army to help make the holidays brighter for all members of our local community. On Saturday, Nov. 30, Galveston’s historic downtown will sparkle as Saengerfest Park hosts Lasers, Lights and Magic in the Park. Saengerfest Park transforms into a holiday wonderland with music, and a special appearance by Santa Claus, all highlighted by a holiday-themed laser light show. In a fun twist sure to be a family favorite, visitors can send text messages to make it snow in tropical Galveston. Festivities begin at 6 p.m. and are free to the public. Lasers, Lights and Magic in the Park continues through Dec. 31 and offers a daily 15-minute holiday themed laser light show at 6, 7 and 8 p.m.
Hotel Galvez & Spa is offering a special holiday package during the Thanksgiving weekend as a celebration of Galveston’s holiday festivities. The Thanksgiving Getaway package, available Nov. 27-Nov. 29 or Nov. 28-Nov. 30, includes a two-night stay, Thanksgiving brunch for two, complimentary valet parking and courtesy shuttle service to Galveston’s historic Strand District for shopping, entertainment and Lasers, Lights and Magic in the Park. Additionally, the hotel is offering a Holiday Magic package through the holiday season. This package is linked with Galveston’s Passport to Holiday Magic program which offers visitors a downloadable “passport” to keep track of the island’s events. Galveston, the “Winter Wonder Island” of Texas, offers visitors more than 1,000 magical activities to enjoy during the holiday season. By getting this passport stamped at five or more participating events, guests are eligible for numerous giveaways including a cruise for four on Carnival Magic. The Holiday Magic package includes a $50 food and beverage credit, complimentary valet and the first Passport stamp toward valuable prizes. See special offers at www.WyndhamHotelGalvez.com. The hotel’s shuttle is also available to transport guests to Galveston’s downtown for shopping and holiday festivities, upon request.